With just a few weeks to go before the 2018 CV Show gets underway, media and exhibitors gathered at the NEC in Birmingham for the Media Preview Day. 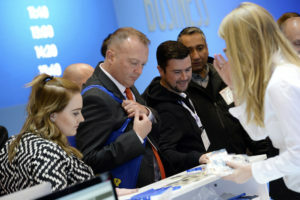 The pre-show event provided an early opportunity for journalists to meet with the industry exhibitors, discuss the key topics of the moment and discover the latest news and products appearing at the show itself. 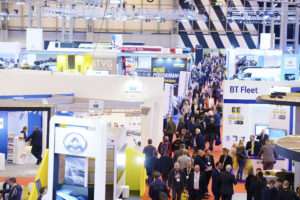 Last year’s show exceeded 20,000 visitors once again, reflecting the benefit of the increased exhibition area compared to previous years and the areas dedicated to specialist industries. Both the Workshop Zone in Hall 4, focusing on servicing, parts and maintenance, and the Cool Zone in Hall 3A dedicated to refrigerated vehicles and bodywork, return for the 2018 show. The Innovation Hub is expected to be busier than ever this year, with demonstrations of the latest technologies that are improving efficiency, reducing costs and delivering better service across the industry. 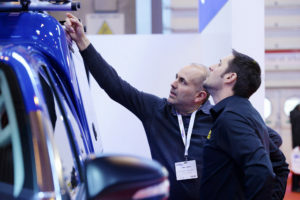 Visitors can view all the latest details including the floorplan, exhibitor and product locator listed under the ‘For Visitors’ tab at www.cvshow.com.